Recent reports of consumers becoming seriously ill after drinking tainted carrot juice have made many of us wary of what could be lurking in our refrigerators. The offending carrot juice has caused an illness known as botulism in at least four Americans and two Canadians. Botulism primary occurs when bacteria known as “clostridium botulinum” are ingested or allowed to enter the body via an open wound. However, it’s not the bacteria that are dangerous — it’s actually the toxin the bacteria produce that makes you sick. This toxin can quickly travel through your bloodstream and it can leave patients fatigued, in respiratory distress, and even paralyzed. Botulinum bacterium starts its life as a spore that can remain dormant for long periods of time. In order to spring to life, all the spores need are a low-oxygen, low-acid, warm environment — which is why bottled carrot juice (since no oxygen combined with low acid makes a perfect home for clostridium) provides a great place in which bacteria can flourish. — Read the labels on all prepared foods and vegetables. If the label says to refrigerate a product, ensure that you do keep it cold right until the moment you plan to consume it. Generally, we only concern ourselves with strict refrigeration with meat and dairy products, but the recent carrot juice recall has reminded us that products are labeled “Keep Refrigerated” for a reason. Heed the manufacturer’s advice. — When opening cans and jars, use your senses to examine a product for safety issues. Look for leaks, rust, cracks, or dents. Listen for proper seals — bottle lids should “pop” when the seal is broken. Smell the product to ensure it hasn’t spoiled. If anything seems off to you, it’s better to dispose of the product rather than taste it. 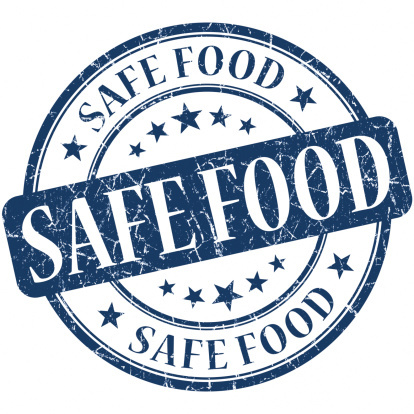 Don’t take the risk of consuming unsafe food products. — If you are canning or preserving foods at home, follow the guidelines available at http://www.uga.edu/nchfp/ to ensure food safety. — If you are going to eat canned, bottled, or preserved foods that you did not prepare (like those peach preserves you picked up at the county fair), boil the food for 10 minutes whenever possible before eating it. This will help kill off microorganisms that could make you sick.